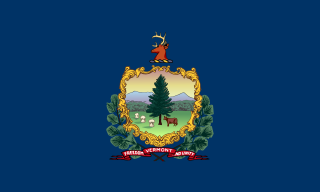 Robert Joseph Forguites (November 24, 1938 – April 8, 2019) was an American politician in the state of Vermont. Forest Dale is an unincorporated village in the town of Brandon, Rutland County, Vermont, United States. The community is located at the intersection of Vermont Route 53 and Vermont Route 73 15.5 miles (24.9 km) north of Rutland. Forest Dale has a post office with ZIP code 05745. 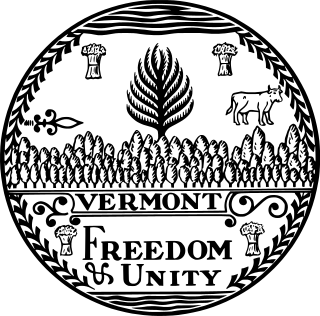 The Vermont Progressive Party is a political party in the United States founded in 1999 and active only in the state of Vermont. The party is largely social democratic and progressive. As of 2019, the Party has 2 members of the Vermont Senate and 7 members of the Vermont House of Representatives. After the Democratic Party and the Republican Party, the Vermont Progressive Party has the highest number of seats among State and National offices for any organized party. Robert Theodore Stafford was an American politician from Vermont. In his lengthy political career, he served as the 71st Governor of Vermont, a United States Representative, and a U.S. Senator. A Republican, Stafford was generally considered a liberal, or "Rockefeller" Republican. Winston Lewis Prouty was an American politician. A member of the Republican Party, he served as a United States Senator from Vermont from 1959 until his death from gastric cancer in Boston, Massachusetts on September 10, 1971. 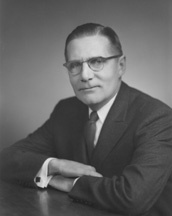 He was previously a member of the United States House of Representatives, serving Vermont's At-large congressional district, from 1951 to 1959. Frank Ray Keyser Jr. was an American lawyer and politician from Vermont. 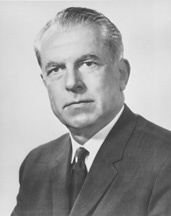 He served as Speaker of the Vermont House of Representatives from 1959 to 1961, and the 72nd Governor of Vermont from 1961 to 1963. George Herbert Prouty of Newport, Vermont was a Republican member of the Vermont House of Representatives from 1896 to 1897; a member of Vermont State Senate from 1904 to 1906; the 45th Lieutenant Governor of Vermont from 1906 to 1908; the 52nd Governor of Vermont from 1908 to 1910; and Delegate to the 1916 Republican National Convention. William Slade, Jr. was an American Whig and Anti-Masonic politician. He served as a U.S. Representative from Vermont from 1831 to 1843, where he was an outspoken opponent of slavery. He was the seventeenth Governor of Vermont. Percival Wood Clement was an American politician who served as the 57th Governor of the U.S. state of Vermont from 1919 to 1921. Peter Thacher Washburn was a Vermont lawyer, politician and soldier. A veteran of the American Civil War, he was elected Governor of Vermont as a Republican in 1869, and was the first Vermont Governor to die in office. Ebenezer Jolls Ormsbee was a teacher, a lawyer, a U.S. politician of the Republican Party, and an American Civil War veteran. John Blaisdell Corliss was a politician from the U.S. state of Michigan. Robert A. Starr is an American politician from Vermont who currently serves as a Democratic member of the Vermont State Senate. He has represented the Essex-Orleans senate district since 2004. He had previously spent a quarter-century in the Vermont House of Representatives. Robert D. Clifton is an American Republican Party politician who has served in the New Jersey General Assembly since January 10, 2012, representing the 12th Legislative District. He previously served on the Monmouth County, New Jersey Board of Chosen Freeholders from 2005 until he took office in the Assembly. Joe N. Acinapura is a Republican politician who was elected and currently serves in the Vermont House of Representatives. He represents the Rutland-7 Representative District. Charles H. Brown was a Vermont lawyer and politician who served as Speaker of the Vermont House of Representatives. Robert Hastings Hunkins was an American politician. He was an early settler of the Wisconsin territory and served in the Vermont House of Representatives. John S. Buttles was a Vermont, attorney, and judge. He was most notable for his service as an Associate Justice of the Vermont Supreme Court from 1937 to 1949. Francis G. Parks was an American educator, newspaper editor, businessman, and politician. Henry F. Field was a Vermont banker and political figure who served as Vermont State Treasurer for eight years in the late 1800s. Paul N. Poirier is a Vermont politician who served several terms in the Vermont House of Representatives. ↑ "Representative Robert Forguites". legislature.vermont.gov. ↑ Dobbs, Taylor. "Springfield Rep. Robert Forguites Dies". Seven Days.